My Picture Garden - Illustration by Hannah Sommerville: Welcome to the World! 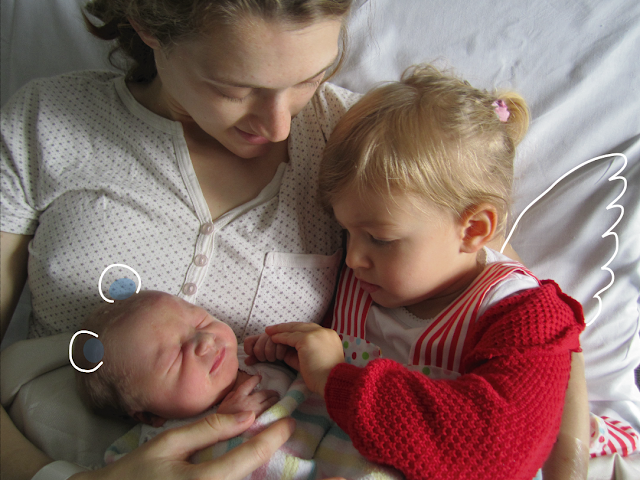 Digby Willem joined our family Friday evening weighing 6 pound, 9 ounces. A good size for arriving an unexpected four weeks early. Big sister, Priya Emaline, has been eager to teach him everything she knows and is doing a great job too. We are completely taken with our little family. I'll be resting for a while so I may be a little bit quiet here for a short time but I hope to jump back into illustration as soon as possible. Take care everybody. Congrats! Beautiful..enjoy your new journey! Congrats, beautiful children. Your daughter looks so happy with her little brother and you can just tell she will cherish him. Congratulations Hannah...what a beautiful baby! CONGRATULATIONS Hannah and family!!!!!!!!!! Enjoy every second aw, those feet! too cute- thank you for sharing your news with us! HUGS! Oh Congratulations!!!!! this is so so exciting!!! I love these super sweet photos!!! You make me want to have more babies!!!! Many many many congratulations on your so-sweet early arriver! What a fine middle name he has. I wish you lots of happiness together! Congratulations Hannah What a beautiful family! You are truly blessed. He is adorable! 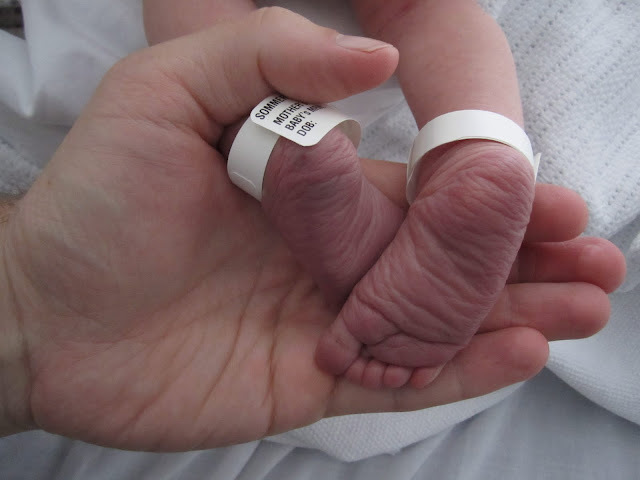 Yay, congrats, how wonderful (My one little baby boo was alos 4 weeks early). Welcome to the world little one. Love your little bits names and you're all beautiful! Look at those sweet tiny feet, cuteness! Lovely newborn baby, and lovely picture of your family! Congratulations! Beautiful baby! Lovely picture!